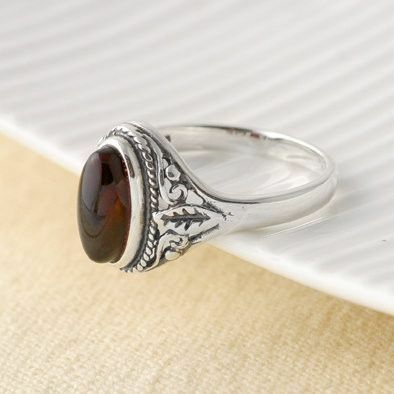 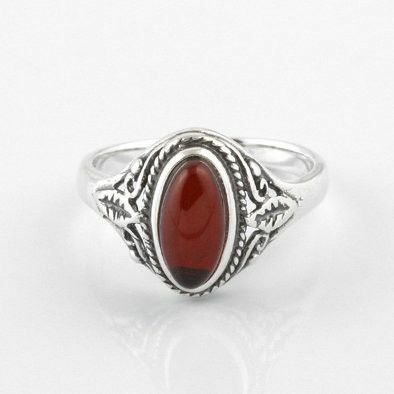 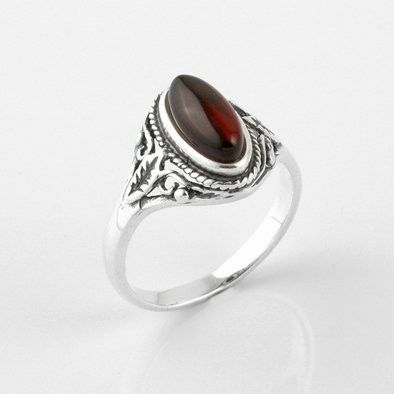 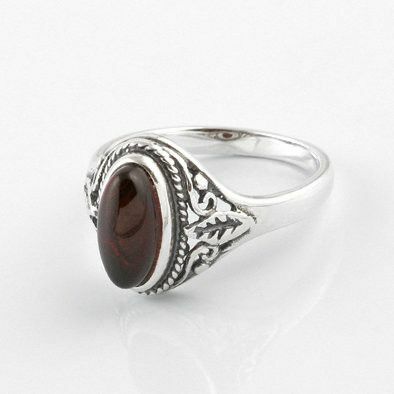 This ornate ring features a rich cherry amber oval set in oxidized .925 sterling silver, blackened to add definition and give the ring an antiqued look. 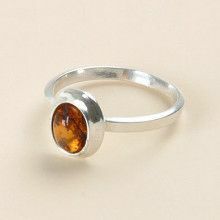 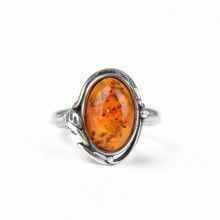 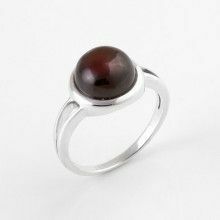 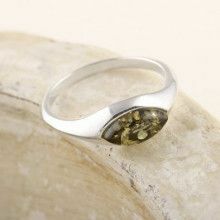 Surrounded by curls and accented on either side by a small silver leaf, this ring captures the classic beauty of amber. 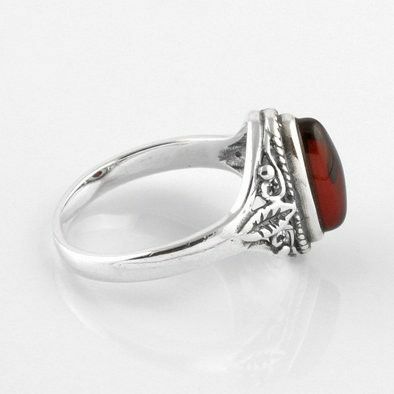 Top of the ring measures 1/4" x 1/2"